All UK employers (regardless of size) must enrol their workforce into a workplace pension scheme. The Pension Act 2008 introduced new law to encourage greater private savings. Anyone running a payroll of any size, from 1 worker upwards, is included within this reform and MUST COMPLY, this includes nannies, carers and domestic staff. Eligible jobholders must be automatically enrolled onto a qualifying pension scheme. Non-eligible jobholders and entitled workers must be allowed to contribute to it if they want to (scroll down for workers categories). You must make sure your understand your responsibilities and start preparing now. Employers will be introduced gradually until 2018 and have been allocated a staging date, this is the date that a qualifying pension scheme must be in place. To find out when your staging date is click here. There a 3 categories of worker and you must assess which one each of your workers falls into, then act accordingly for each worker. You will need to choose the most appropriate scheme to meet the needs of your company and workers, you can contact pensions providers directly or speak to an Independent Financial Advisor to discuss the most suitable qualifying pension plan for your business. A list of Financial Advisors in your area can be found at www.unbiased.co.uk or www.vouchedfor.co.uk. Your Accountant may also be able to offer guidance. Although we are prohibited from giving financial advice or recommending pension schemes we can inform you of and help you set up schemes with True Potential Investor or NEST (National Employment Savings Trust) or The Peoples Pension (TPP). Free for employers, no admin fees or ongoing charges for using their system. Members (your employees): 0.71% per year charged to employees (members can control their funds, opt out or opt in from their own online portal). Fund provider is Legal and General. Scheme can be set up within 48 hours. Members (your employees): 1.8% of the first contribution then annual management fee of 0.3% of the total value of the fund in the members pot. 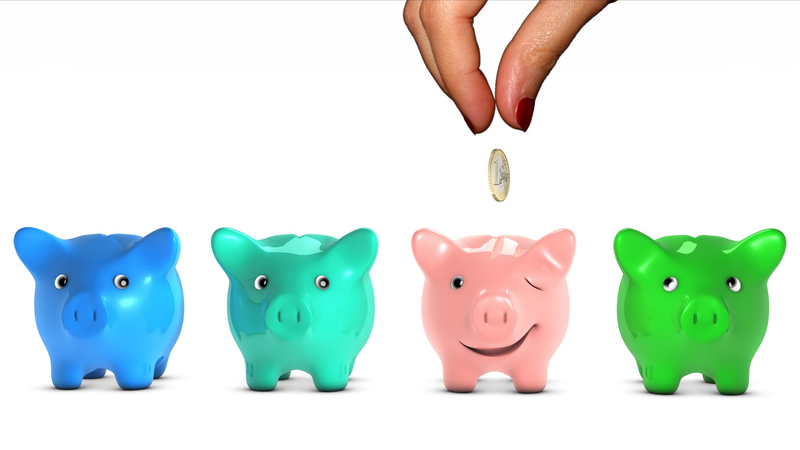 Members (your employees): Annual management fee of 0.5% of the total value of the fund in the members pot. Employers: Set up fee of £500 + VAT. (This fee is reduced to £300 + VAT if it is set up through an agent such as ourselves). We can work with your Financial Advisor and Pension Provider if we are engaged to run your payroll and handle AE duties. You must communicate the right message, to the right employee at the right time. The category that the worker falls into will define the letter that is sent. The TPR’s detailed guidance provides the information that must be included in your letters. This can be found on pages 12-15 of the their guide which can be found by clicking here. We can provide these letters for you if we are engaged to run your payroll and handle AE duties. You must make arrangements to enrol all jobholders into your pension scheme from the staging date. You must provide the pension scheme with your workers appropriate personal details. You must provide enrolment information to the eligible jobholders so they can decide whether to opt out before the end of the joining window (see Opting Out below). We can enrol all eligible job holders if we are engaged to run your payroll and handle AE duties. You must register with the TPR and keep detailed records for 6 years (4 years for opt-outs). We can register you with TPR and keep records if we are engaged to run your payroll and handle AE duties. Qualifying earnings are everything thing above £487, the first £486 will be ignored and the contribution is calculated on the remaining salary paid. Within 5 months of your staging date you must complete TPR’s Declaration of Compliance. Click here to navigate to the relevant area of TPR’s website. There is a Registrations Checklist available on TPR’s website which can be found by clicking here. Optional Extra: We can complete this declaration if we are engaged to run your payroll and handle AE duties. You have an ongoing responsibility to ensure all workers are included within Auto Enrolment as their status changes and you must act accordingly to remain compliant. Monitor new starters – from their first day of employment. Monitor your non-eligible jobholders and entitled workers: (NB: increased pay in the pay reference period might trigger auto enrolment). Every 3 years re-enrol any eligible jobholders who have opted out (they must opt out again if they do not wish to be included on your pension scheme). We can monitor your workforce if we are engaged to run your payroll and handle AE duties. You should start your automatic enrolment plan today. This is a complicated process which is being stringently monitored, failure to comply will result in large penalties and court intervention in the most severe cases. Stage 3: Escalating daily penalties at the prescribed rate of £50 to £10,000 depending on the number of staff you have. Full details of further penalties for non compliance and failure to pay can be found by clicking here. For our payroll clients we are able to take this administrative burden from your shoulders. We can deal with the preliminary duties of assessing your workforce and communicating to your workers. Then, after your staging date, we can calculate the contributions and send the necessary data to your pensions provider. We will continue monitoring your workforce and ensuring that eligible workers are notified and auto enrolled. We can help keep you compliant with The Pensions Regulator. Workers have the right to opt out of the pension scheme within 4 weeks of being notified they are on it and any deductions made will be refunded. After 4 weeks the worker can cease membership to the pension scheme in accordance with the scheme rules. While they can request to join a pension scheme, the scheme the Employer allows them to join will dictate the Employer’s responsibilities. If the Employer has only one scheme which IS a qualifying scheme the Employer WILL need to pay a contribution in line with other Eligible Jobholders and Non-eligible Jobholders. However, if they also offer a “non-compliance” scheme the Employer does NOT have to make any contribution. Contact us for help on 020 8878 4843 fill in our contact form. © 2016 MK Bookkeeping. All Rights Reserved.